You are buying the Aclaim 2 Nasal Interface With Headgear Fisher & Paykel HC401A, manufactured by Fisher & Paykel. Fisher & Paykel is a leading manufacturer of CPAP machines and CPAP accessories. At ADW Diabetes, we do offer the complete product line by Fisher & Paykel at discounted pricing. You are buying the Aclaim 2 Nasal Interface With Headgear Fisher and Paykel HC401A, manufactured by Fisher and Paykel. Fisher and Paykel is a leading manufacturer of CPAP machines and CPAP accessories. At ADW Diabetes, we do offer the complete product line by Fisher and Paykel at discounted pricing. The Aclaim 2 Nasal Interface With Headgear Fisher and Paykel HC401A is a classic nasal CPAP mask from Fisher and Paykel Healthcare. The Aclaim 2 CPAP mask is designed to deliver CPAP therapy for patients with Sleep Apnea. The Aclaim 2 CPAP mask has unique features that offer you maximized comfort while sleeping. The bias flow diffuser facilitates a quiet nights sleep from your cpap mask. You can find the correct size with the two included silicon cushions provided. This cpap mask can be used with any cpap machine available. 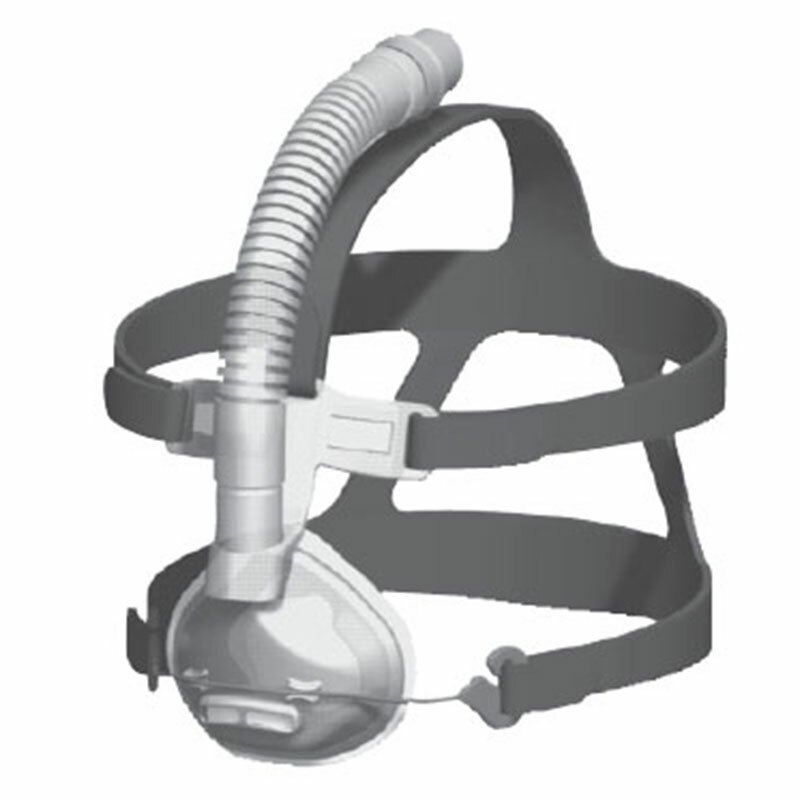 Special glider mechanism allows the patient free mobility without moving the CPAP mask, minimizing positional air leaks. Breathoprene CPAP headgear is cool, comfortable and very light. CPAP Mask and headgear are completely assembled in one box providing for efficient time use when fitting. Lockable T shaped forehead piece minimizes mask leaks and pressure on the bridge of the nose. Bias flow diffuser and filter limits draft and noise from the bias flow making way for a quieter night's sleep for you and your bed partner. Maximized comfort is achieved with a foam and silicon CPAP mask seal. Different sized CPAP silicon seals(2)included in your box to cater to almost all sizes. The Aclaim 2 cpap mask can be utilized with any manufactures cpap machine.